A brand new year is upon us, and it’s time to start thinking about the changes you want to make. But it can be difficult to follow through on New Year’s Resolutions, especially without any help or support. But nine times out of ten, there’s an app for that. We pulled seven of Time Magazine’s list of the top ten most broken New Years Resolutions, and determined which apps would be best to help with each. So without any further ado, here are the best apps to help you live better in the new year. 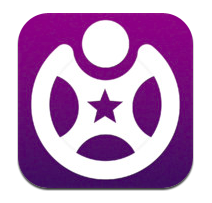 Fitocracy is a fitness app that uses social tools and gamification to make working out easier. Losing weight and working out more often is the most popular and common New Year’s Resolution every year over, but many people give up after a few days or weeks. Staying motivated can be tough. By automatically including friends and adding a similar level of competition that you’d find in a video game, Fitocracy keeps users focused on their goals without having to focus on the pain of working out regularly. Eat Healthier and Diet: Lose It! Lose It! 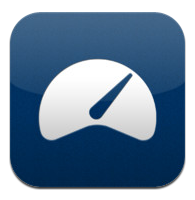 is a great app for tracking calorie intake and diet. You simply record everything you eat, whether at a restaurant or homemade, and the app starts tracking your weekly calorie budget, the ratio of carbohydrates to proteins to fats, and integrates with social networks to let you keep up with your friends’ progress. 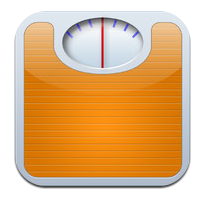 The worst thing about dieting apps is that inputting your food intake can become tedious and annoying, but Lose It! has streamlined the process as much as possible with restaurant menu integration and a full database of foods and ingredients. I’ve been using Lose It! for a while, and the best part is that after a while, you start learning about the general caloric value of different foods, which helps you make better, more informed decisions when choosing what to eat. 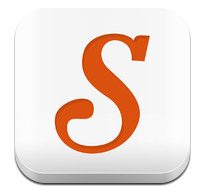 Snapguide is a beautiful iOS app that brings “How To” to the digital world. It lets users create and share guides, fostering a peer-to-peer community of users who can teach each other. You can look up all kinds of guides within the app to help you get started on your new craft. The app doesn’t go too in-depth on each guide, so if you’re looking to become an expert on something this may not be the best choice. However, if the goal is to learn a little something new each day, or to discover a new hobby or passion, Snapguide is certainly the app for you. My Last Cigarette helps users quit smoking by mapping out the changes in their health as they quit. 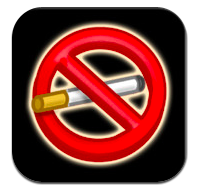 Simply enter in your smoking habits, and the app keeps you informed on how you’re bettering your life through quitting. There are over ten different readouts, with indicators that display how your lifespan is increasing, your circulatory and lung functions are improving, and how much money you’re saving by not buying a pack a day. By seeing these improvements in your quality of life, the app can be used as a reminder each time you feel the need to light up. Even if the terms “high-yield account” and “portfolio” make you nervous, Betterment can help. The Disrupt alumni helps you earn more money than a standard savings account with more flexibility than a higher yield account. After signing up with an account on Betterment.com, users can check the balance, composition, and returns of their investment portfolio in real time from the app. Users can also add/withdraw money, change the allocation to stocks and bonds, along with reviewing goals and account activity. Obviously, the best way to get out of debt is to cut spending, but earning a few extra bucks while you save is even better. 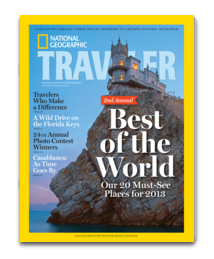 National Geographic’s Traveler’s Magazine for iPad is the absolute best place to find your next destination spot. It’s loaded with content from all of the world’s most beautiful locations, letting you feel like you’re actually there and helping you understand what to expect from each spot. The app includes maps, photo galleries, and even 360-degree photos of places like the Taj Mahal. Users will also have access to travel tips and live feeds from the Intelligent Travel blog and NatGeo Twitter Feed from various locations. I live thousands of miles from my family, but I’ve found that Path is the best way to stay close to them, even when I’m far away. Since Path, a beautifully designed social networking app, only allows up to 50 followers for each user, it’s not as crowded as other social networks like Facebook and Twitter. 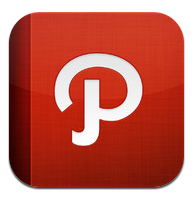 Plus, Path offers interesting features like the ability to tell followers when you’re waking up or going to sleep. You can also let your followers in on what movies you’re watching, music you’re listening to, and which restaurants you love. The app is free, easy to set up, and enjoyable to use thanks to an award-winning user interface.